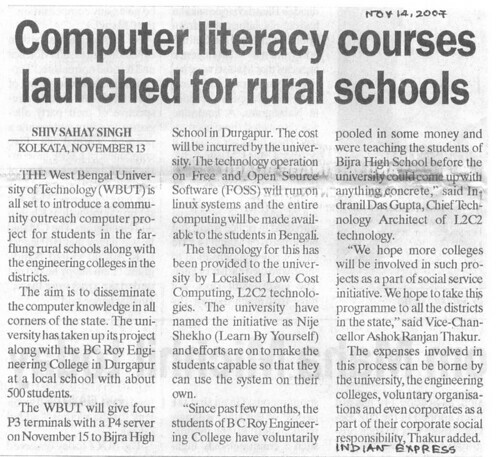 Comet Media Foundation, in collaboration with Birla Industrial & Technological Museum, is organising a national colloquium “Knowledge & Schooling : Growing up in the Digital Age” on the 6th December, 2007 at the BITM auditorium. 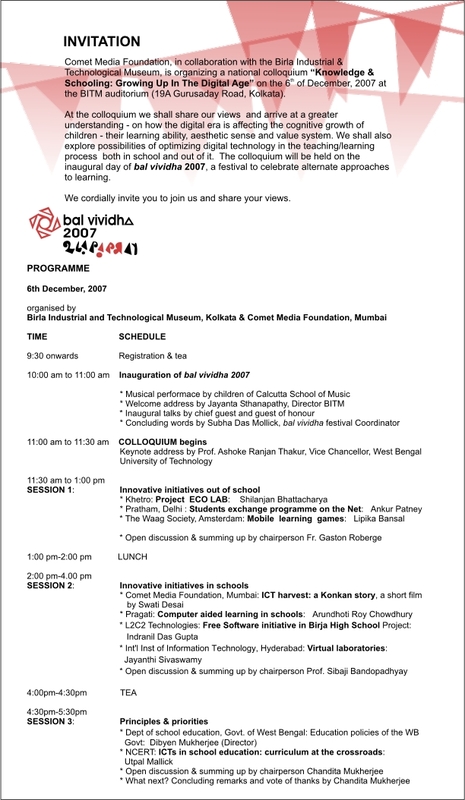 The colloquium is a part of the four days long education fair called bal vividha (Bengali name :Harek Rokom Ba) bal vividha, a fair to celebrate alternate approaches to education, has been designed and initiated by Comet Media Foundation. It has been an annual event in Mumbai for the past 10 years. In 2006, bal vividha took place in Kolkata for the first time and met with reasonable success. At this year’s bal vividha or Harek Rokom Ba, scheduled from the 6th to the 9th of December, we shall give special emphasis on technology enabled learning. There is no entry fee to attend the colloquium on 6th Dec.
You are currently browsing the archives for the Bijra High School category.